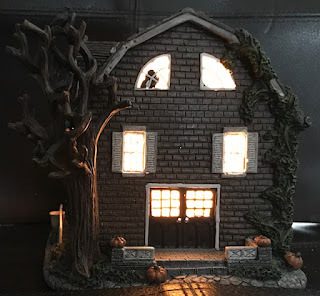 Becky Vickers(BECKS) - Everyday Ghost Hunters/Goatman's Bridge Ghost Tours: THE AMITYVILLE HORROR HOUSE COMES TO LIFE!!! 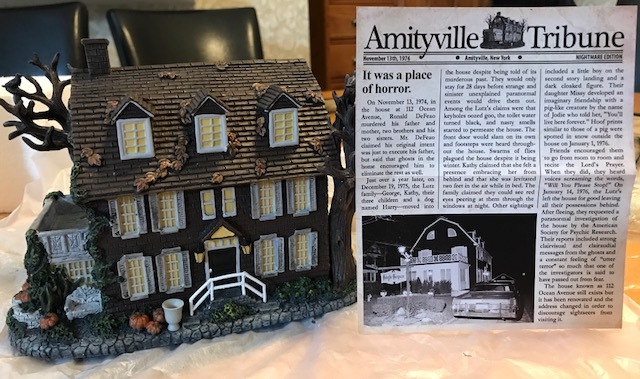 THE AMITYVILLE HORROR HOUSE COMES TO LIFE!!! Lorraine Warren doesn't have to go to the movies to see ghost stories—she lives them. Alongside her late husband, demonologist Ed Warren, the clairvoyant investigated some of the most famous and infamous paranormal hauntings around. 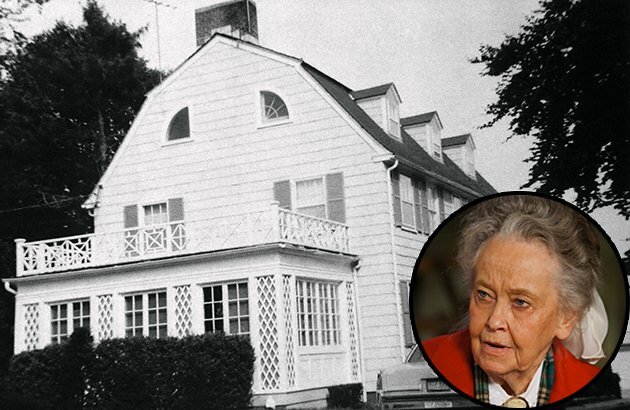 Her most notable cases have inspired plenty of frightening flicks, including 1979's "The Amityville Horror" (as well as the 2005 remake) and next week's scream-inducer, "The Conjuring." At "The Conjuring" press junket in San Francisco, Yahoo! Movies recently had the chance to speak with Lorraine Warren, now 86. We asked Warren how the 1971 case of the Perron family in Harrisville, Rhode Island, which inspired "The Conjuring," compares with the horror that the Lutz family experienced in Amityville, New York back in the mid '70s. Warren laughed, as if there is no comparison at all. 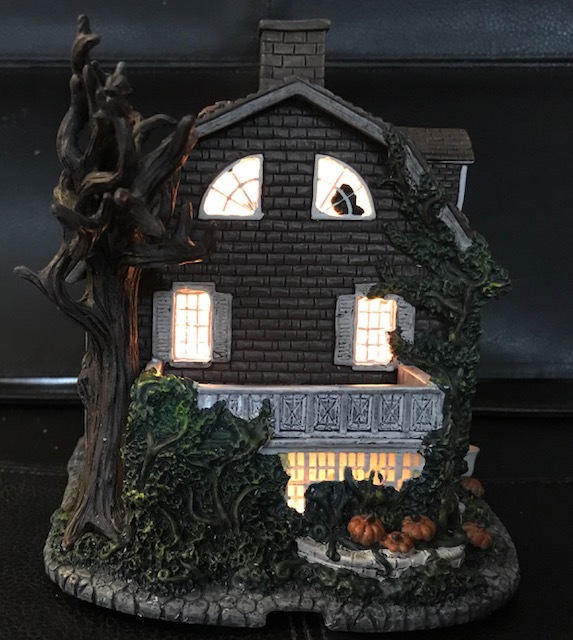 "Amityville was horrible, honey. It was absolutely horrible," she said. "It followed us right straight across the country. I don't even like to talk about it. 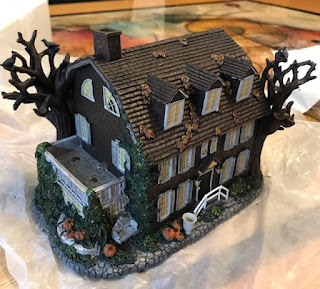 I will never go in the Amityville house ever again. You don't know how long my career is; that's the only one." Warren's career is indeed long, as she and her husband founded the New England Society for Psychic Research in 1952, and have over 4,000 cases in their files. So when Warren says that the Amityville house is the one haunted house she won't return to, it's apparent that something terrifying went down there. 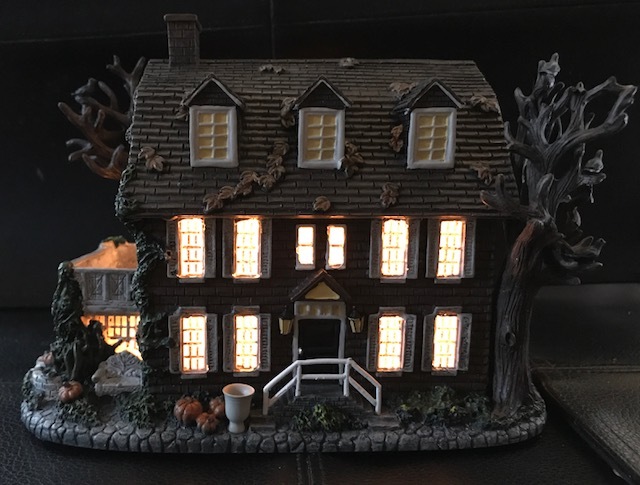 That something horrific did occur at the house is not in dispute. On November 13, 1974, 23-year-old Ronald DeFeo Jr. murdered his parents, two brothers, and two sisters. But that's not what inspired the film and its subsequent sequels. About a year later, George and Kathy Lutz moved into the house at 112 Ocean Avenue with Kathy's three children. Not surprisingly, the Lutzes got a great deal on the house, which was ironically called High Hopes. But according to the Lutzes, after they moved in evil forces started rearranging the furniture (much of which was left over from the DeFeos), strange welts showed up on Kathy's body after she was levitated two feet in the air, a demonic face peered out of the fireplace, flies swarmed in the middle of winter, unexplained smells of excrement festered, green slime oozed off the walls and more. A dirty laundry list of paranormal terrorizing went down, enough so that the Lutzes finally evacuated High Hopes after only 28 days. The Warrens were among the few investigators to look into the case. And while many claim the whole story is a hoax, it's obvious in talking to Lorraine Warren that she remains a firm believer. Of course, movies based on actual events don't necessarily stay true to those events, especially in the horror genre, but if the Lutzes' case is scarier than the haunting depicted in "The Conjuring," then it's no wonder that Warren remains affected. In "The Conjuring," directed by James Wan ("Saw," "Insidious"), Patrick Wilson and Vera Farmiga play Ed and Lorraine Warren, who set up an investigation in the Perrons' isolated farmhouse to find definitive proof of the inexplicable and frightening events that are endangering the Perron family. Unfortunately for everyone involved, they find that proof. "You need proof. That's what you have to have. 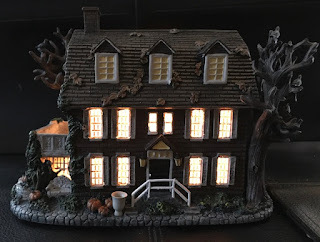 You can't tell ghost stories," Lorraine Warren told us. So, if your interested the collection comes with a newspaper clip, a Cert. 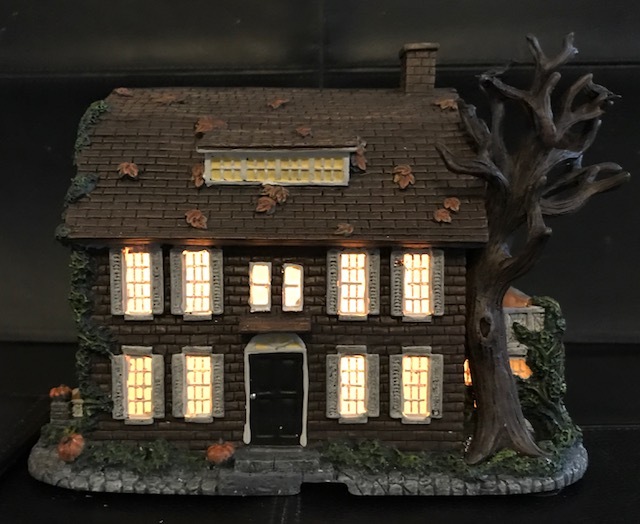 of Authenticity, a numbered house and even a light so that the lights glow. Do I like it? Yes. I do and I am excited to get another piece to go in the collection. I do have one little thing that I don't really like about it......and that is that they put pumpkins around the house. I think it would have been better without them. Yeah...I wish they wouldn't have done that but I still like it. Anyway, I just wanted to share that. It's kinda fun. 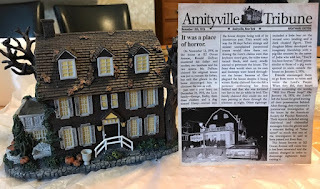 I have not been to the Amityville house but I hope to get to go there someday. If you have, I would love to hear what you thought.